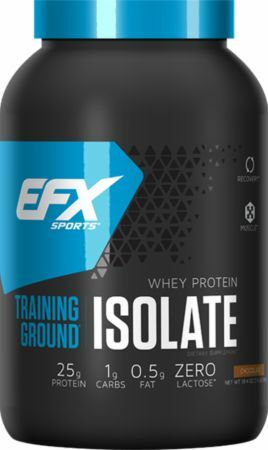 EFX Sports Training Ground Isolate at Bodybuilding.com - Best Prices on Training Ground Isolate! Carbs and fat are easy to get in your diet. So when you buy a protein powder, you want the cleanest and leanest protein possible, not extra carbs and fat. 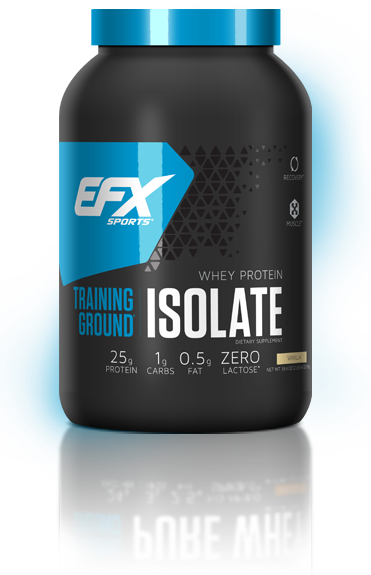 Training Ground® Isolate ProtaLyn® enhanced protein provides you with a delicious and convenient way to build a better body. It works quickly to stop catabolism, while jump-starting muscle growth. You already sacrifice so much to look and be your best. One of those things should never be the quality of your protein.